Home » Cosmetic Aesthetic » Dermatological Treatments to Counter the Signs of Ageing: Stay Young, Feel Good! 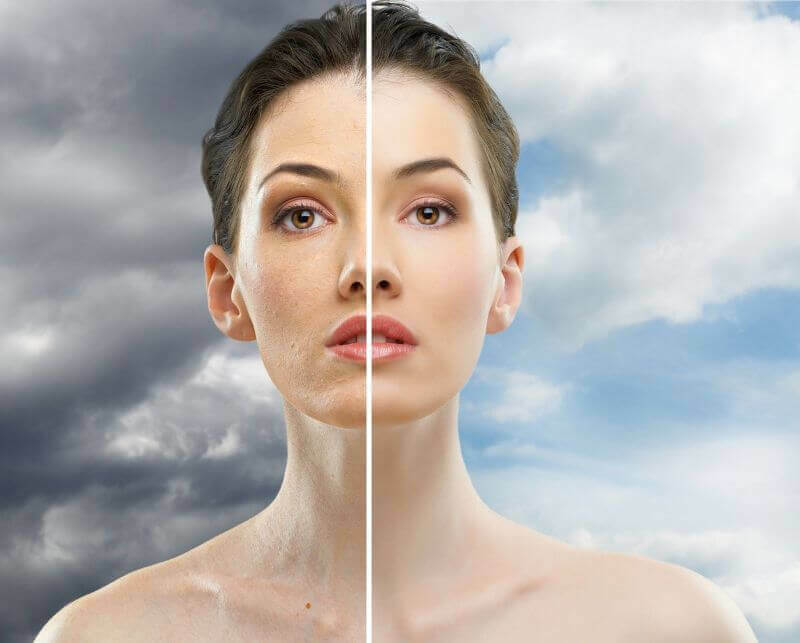 Dermatological Treatments to Counter the Signs of Ageing: Stay Young, Feel Good! Ageing is an inevitable process; however, you’ll hardly find anyone who wants to embrace it. The appearance of those fine lines, wrinkles and loose skin are no less than a nightmare. Often, ageing even becomes a question of vanity as it completely changes your physical appearance. This apparently leads to lesser self-esteem and confidence. 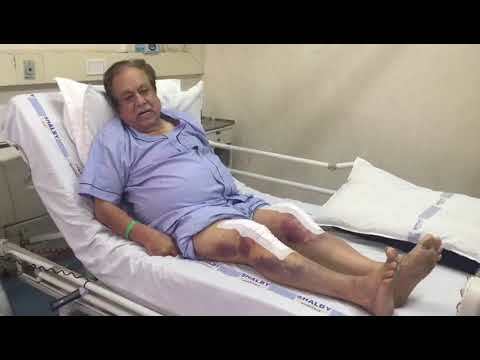 This is the reason, everyone wants to delay the process of ageing - be it a man or a woman. While ageing as a natural process is beyond your control, ageing induced by several of the external and internal factors can be reversed or corrected with proper care and the right treatment approach. But before exploring the possible anti-ageing treatment types, let us first understand the process of ageing and the early signs of an ageing skin. As stated earlier, other than being a natural process, ageing can even be influenced by many factors. With growing age, noticing visible fine lines becomes a common scenario for everyone. The face tends to become loose and the youthfulness vanishes. Moreover, you will notice how the skin becomes thinner and drier. All these skin changes are controlled by your genes and this ageing type is known as "intrinsic ageing". You can even cause your skin to age prematurely, with your lifestyle and environment choices. Such ageing is known as “extrinsic ageing”, which is caused due to numerous factors. Exposure to sun, solar radiation can speed up collagen destruction in your skin through the oxidation process. As the elastic collagen fibers become stiff and feeble, their basic structure gets destroyed leading to the appearance of wrinkles, fine lines and spots. Smoking, it leads to premature fine lines that would appear on the parts where the skin is very thin like sides of eyes and above your upper lip. Smoking reduces the level of Vitamin C in the blood which is a key component in the elasticity of the skin. Lack of protein-rich diet can hamper the production of collagen fibers, elastin fibers and hyaluronic acid which are essential for improving the appearance of your skin. Not eating fruits and vegetables, can lead to a nutrient deficiency which is essential for skin cell generation. Prolonged emotional stress, it leads to increased secretion of the stress hormones namely adrenaline and cortisol. These stress hormones are known to speed up different ageing processes. Prolonged lack of sleep, it can make the face look dull and while letting the ageing signs to appear early. Alcohol, it damages the skin texture and color while also affecting the eye sockets. If you are experiencing 'extrinsic ageing' then the early signs are indicators of preventing further damage and getting the right treatment to reverse the problem. Fine lines and wrinkles: They are the first visible signs of premature ageing and start appearing post 25 years of age. These lines will appear on different face areas and can be spotted easily. Loose and saggy skin: Another noticeable sign is the loss of volume in your skin, especially the facial skin. It is often described as saggy skin, turkey neck, loss of contours, chicken skin or ‘looking drawn'. Lesser elasticity and firmness: As the ageing signs become more prominent, your skin will start losing its natural elasticity and firmness. The structure will weaken, making way for deeper wrinkles to form. Heavy eyelids: Your eyelid is extremely thin in general and with ageing, it becomes more loose, creating a hooded effect. Uneven complexion: With the loss of collagen and elastin, which make your skin firm and elastic, and the dullness caused by the dead skin cells; your skin appears dull and loses its charm. Whether the ageing is natural or induced by the various external factors, the truth is that no one wishes to look old. Everyone desires to stay young forever, and while you can’t really stop the natural ageing process; you can always make efforts to delay this process and treat premature ageing with the right treatment approach. When looking for the treatment process, you need to understand that not all treatments will serve your concern. Based on the early ageing sign you have, the ideal treatment type would be recommended. A cosmetic physician or dermatologist would be the best person to advise you the treatment plan. The dermatologist will check your skin type and the ageing signs you have, based on which the most suitable plan will be designed. 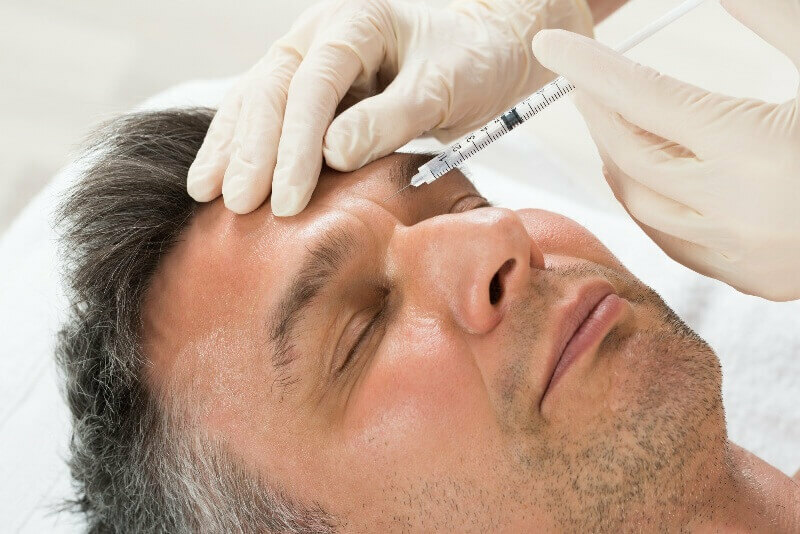 Also known as, botulinum toxin, Botox is considered perfect for your forehead, glabella and around your eye wrinkles. A non surgical, physician-administered treatment, Botox can temporarily diminish mild to major frown lines between your brows. The Botox injection is ideal for the age bracket between 18 to 65 years. During the treatment process, the dermatologist will administer the Botox through tiny injections straight into the muscles which cause the stubborn lines. It’s the muscle activity that causes the frown lines between your brows. When Botox is administered into these muscles, it blocks the nerve impulses transmission to the injected muscles. This cuts down the muscle activity which causes the persistent lines to form. 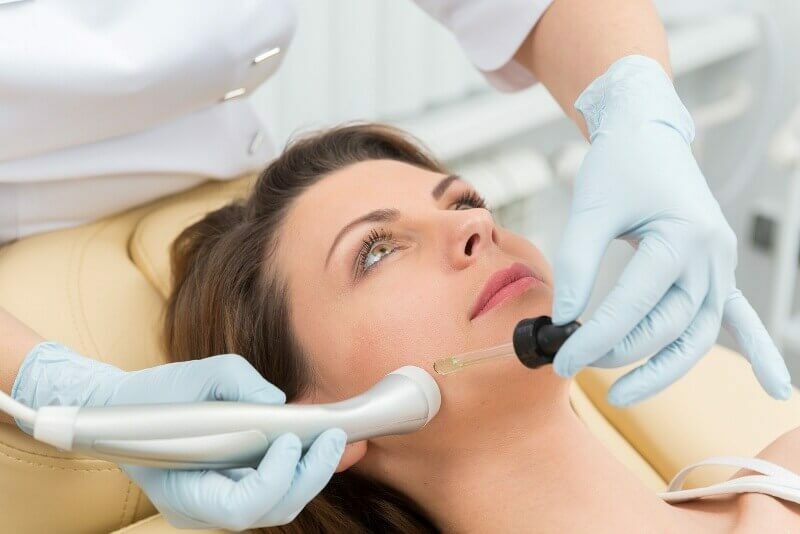 The treatment takes around 10 minutes and there is very minimal downtime, which means you can get back to your everyday activity right after the treatment process. There is no recovery needed and the results would surface in next 4-7 days which will last for around 4-6 months. The results of Botox can tend to vary depending on the skin type. Botox treatment process is not very complex but you can experience mild discomfort which is very minimal and lasts only for some time. In certain cases, the dermatologist may numb the area where the Botox injection is to be given. For this, he or she will use a cold pack or an anesthetic cream. Talking about the treatment side effects, the most common one happens to be drooping of the eyelid and nausea. You can even experience localized pain, inflammation, infection, tenderness, mild swelling, redness, or bruising because of the injection. Whether or not the treatment is suitable for you can only be decided by a trained dermatologist. However, if you suffer from any neuromuscular disorder, then you should not consider opting for Botox treatment. Many people who consider Botox often have the concern if their facial expressions will continue to look natural. Well, treatment results of a Botox are quite noticeable but it doesn’t really bring in a major change in your facial expressions. It simply reduces the muscle activity which leads to frown lines between your brows. But you can still continue to frown, sans any wrinkle or creases. Another popular treatment process is Microdermabrasion which is a non-invasive, safe, and non-chemical way of deeply exfoliating the skin. 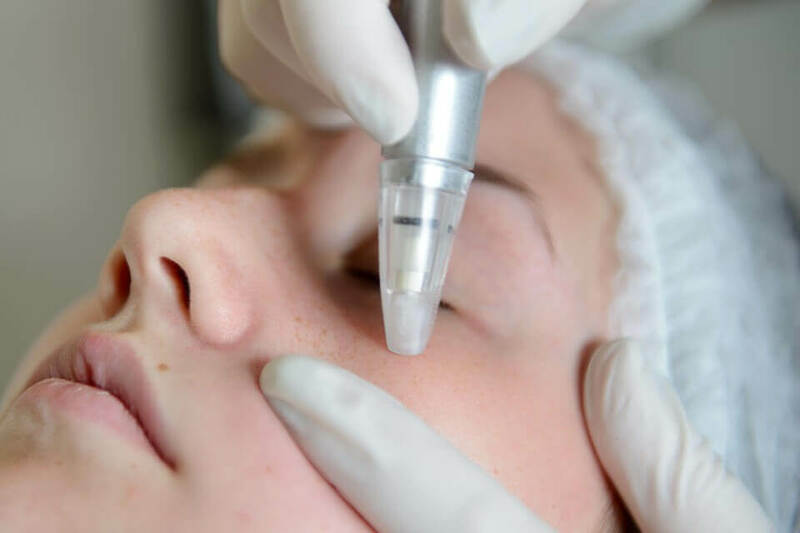 The Microdermabrasion process involves a dermatologist running a device on your skin surface which can spread a range of aluminium oxide microcrystals. The machine then vacuums up the crystals, thus offering a deep exfoliation which removes the dead skin cells, stimulates the collagen production and elastin growth. The microdermabrasion process can even help in treating acne and the scars left behind by acne. Exfoliation unclogs the pores and boosts the healing process while minimizing scarring risk. It is even preferred over chemical peels as it has very minimal downtime. You will require 4-8 treatment sessions in every two weeks interval. The gap between the treatment sessions allows your skin to recover and makes way for new skin to the surface. Visible changes in your skin texture can be seen in next 1-4 days. Microdermabrasion successfully treats ageing signs because of the fact that its exfoliation technique helps in improving the collagen production, which stimulates the growth of new skin cells. With new collagen production, the skin becomes smoother and the skin blemishes also become lighter. It gives your skin a fresh appeal and as you continue with the recommended treatment sessions, the results keep on improving. Chemical peels reduce the appearance of ageing skin with the help of a chemical solution that works by removing the outer layer of old skin. It is replaced by the new skin which happens to be smoother and has lesser wrinkles. During a chemical peel process, you may experience a mild burning sensation which will last for nearly five to 10 minutes. Your dermatologist will help minimize the discomfort by applying a cold compress, which even helps in lessening the pain. If you’ve had deeper peels then you will be advised certain medications that can curb pain. The chemical peels normally contain Alpha Hydroxy Acid (an AHA like glycolic acid), beta hydroxy acid (salicylic acid, BHA), Trichloroacetic acid (TCA), or phenol, which work as the exfoliating agent. Each of these exfoliating agents is categorized by the concentration as well as the depth of the peel on your skin. This can range from being superficial, micro or light peels to medium or deep peels. The results also vary as per the depth of the peel, so performed. The ssuperficial peels, which normally have low concentrations of AHA or BHA, provide less impressive improvements when compared to the medium or deep peels. The dermatologist will pick the peel type depending on your skin type and the anti-ageing treatment requirement that you have. No matter what peel type you are recommended, you can experience minor to major progress in an appearance of fine lines, wrinkles, skin texture and discolorations, collagen production, blackhead removal, and temporary reduction in excess oil production. How chemical peels help ageing skin? Chemical peels can help make your skin smoother, vanish brown spots and uneven skin tone as caused because of sun damage. Peels make your skin surface look fresher and younger. Undergoing chemical peels on a regular basis will help in the stimulation of collagen which will apparently improve the appearance of wrinkles. Talking about the risks associated with the chemical peels, they are known to cause temporary or permanent changes to your skin colour. Women who are on birth control pills, are pregnant or have had brownish facial discoloration, will also experience a change in the skin colour. Other risks include scarring and reactivation of cold sores. However, these are very mild and don’t cause major discomfort. With ageing, your face loses its subcutaneous fat, naturally. This makes the facial muscles come in direct contact with the skin surface, because of which the smile lines and crow’s feet tend to become more visible. Your facial skin also stretches which adds to the loss of facial volume. Sun exposure, lifestyle and heredity also contribute in decreasing the facial volume. Derma filler has a set procedure which includes various steps. Let us have a look at each step involved in dermal fillers. The first step in the process is analysing your face. The dermatologist or your cosmetic surgeon will carefully examine your face to evaluate its appearance and skin tone. The areas which need to be treated will also be carefully examined and analysed which helps in understanding how the further treatment should be planned for the best possible results. The surgeon can even mark the injection sites on your face where the fillers are to be administered. The next step involves thoroughly cleansing the injection site with the help of an antibacterial agent. You may experience mild pain at the fillers injection site which can be soothed with the use of a very cold instrument that chills the skin. An anaesthetic ointment can also be used to numb the skin. Next comes the process of injecting the derma fillers, at the marked site. It takes a few minutes to inject the site. Once the results are evaluated, you may be given additional fillers. Based on the number of areas you have to treat, the entire process will take around 15 minutes to 1 hour. The last step involved in the process is cleaning up the treated area. Your surgeon may ask you to apply an ice pack if there is any swelling or you feel any sort of discomfort. Post the treatment, you may continue to feel tender for a day or two. However, it won’t be that painful where medication would be needed. The recovery, post derma fillers treatment would differ from person to person. You will be allowed to resume most of your usual activities right after the treatment process. However, physical activities that are strenuous will be recommended to avoid for a period of 24-48 hours. This helps in minimizing the swelling as well as bruising. If you have any specific plan for recovery, you must make it a point to discuss the same with your dermatologist or cosmetic physician. Most of the above-mentioned conditions can easily be eased with topical icing and massage. The conditions will get better in few hours or a couple of days. If the reactions are very severe, then you may have to treat them with injections or medications. The results of dermal/derma fillers are visible immediately and tend to last from several months to several years. But this depends on the filler type used and the patient injected. If you maintain good health and skin while taking appropriate care of your skin, then the results will last for long. There is no denial to the fact that your face is normally the first to fall prey to the early signs of ageing. But thankfully there are treatments which can help bring down the age from your face and restore that youthful appeal. One such treatment is the facelift, which works by smoothening the skin of your face and neck, tightening the underlying tissues and muscles, and removing excess skin. It’s a surgical process, which is not very complex like the usual surgical processes. The surgical plan totally depends on the intensity of your problem and expected results. The process calls for incisions in front and behind the ear, which may extend into your scalp. As the incisions are done, skin undermining is carried out that helps in lifting the deeper layers of your face. Your dermatologist may even perform muscle tightening and liposuction of your neck and jowls while removing or repositioning excess skin. The outcome of a facelift process can be very subtle or impressive based on the goals as set prior to the process. The healing in case of facelift happens slowly so you will have to wait for few weeks before your new look emerges. Over the next few months of the surgery, you may require additional minor changes and settling. 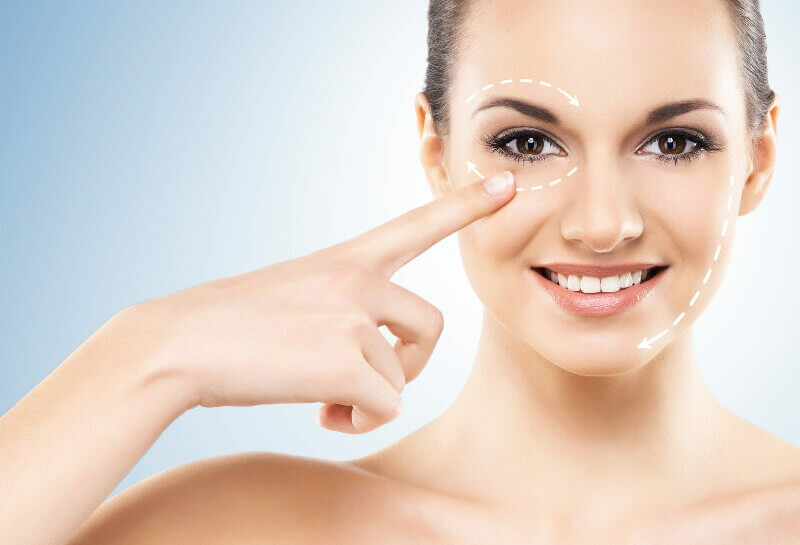 With the advancement in medical science and cosmetic industry, you have various options that help reverse the signs of ageing and restore the youth. However, it is very important that you reach out to experienced practitioners because most of the cosmetic treatments need thorough expertise so that the results stand enduring and more effective. Among the renowned cosmetic and dermatology centers, Shalby Hospitals, Ahmedabad hold a prominent place. We have a team of highly skilled and efficient dermatologists and cosmetic surgeons, who with their years of expertise can plan the result driven treatment module for you. Our team makes it a point to understand your skin's requirement and customizes the solution to match individual needs.